Welcome to the Condominium No. One of the Pines web site. Whether you are a first-time or return visitor, we invite you to explore the information on this site related to life in Pines One Community! On this site, you will find the Association's Document Book, Rules and Regulations, and the current Budget. You will also find information about the Pines One Board of Directors, Board Meeting dates, Board Meeting Updates as well as a form to request an exterior change on your home. Through this site, you may also contact CVI, the Association's Management Company, and learn how to contact your elected representatives on the Board of Directors. We will continue to upgrade and improve this site as time goes on, and we are truly interested in what you would like to find here in the future, so please tell us! A major goal of this site is to keep the hometown vision alive. Through our vision, mission, critical success factors and organizational values, our goal is to provide outstanding customer service to you. We sincerely hope that this web site accomplishes that goal! We encourage homeowners to utilize our website, brand new as of October 2016! The Condominium No. 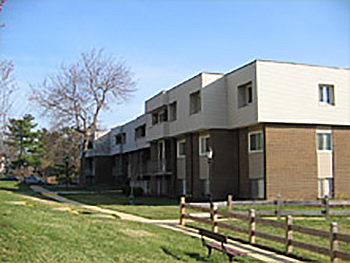 One of the Pines consists of 304 condominiums located in Upper Marlboro, Maryland. The community was built in the early 1970s and is conveniently located just 30 minutes from Washington, D.C. and Annapolis and 45 minutes from Baltimore and Northern Virginia. A volunteer Board of Directors made up of homeowners from the community are elected by the community to serve as their representative to conduct the business of the association.